Do you have a tired warm up routine? Do you sometimes feel like your practicing has no direction? This is a common problem that affects many musicians. You aren’t alone. Join the hundreds of students that have benefited from this tested and proven warmup routine. This book is the product of the last 10 years of building my warm up routine and will teach you my proven method guaranteed to improve your playing by leaps and bounds. 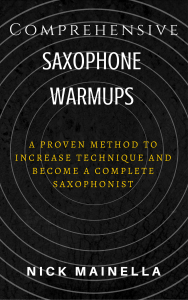 The exercises in this book are designed specifically for the range of the saxophone and address some of the most common problems that people who play this instrument run into. 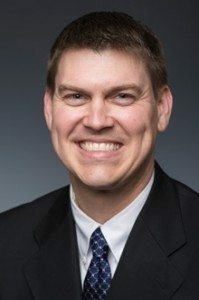 You might call me a warm up fanatic, but when you start seeing the results of the material in this book you will understand why I have spent so much of my time coming up with the most comprehensive method available today. Learn why sound is the most important concept. Long tone exercises to assist with your breathing and tone production. Harmonics and overtone exercises to get you that fat sound you always wanted and start you on your way to learning popular altissimo techniques. Simple exercises to be done on the mouthpiece and neck that will make playing the entire horn much easier. An exhaustive library of scales and arpeggios are contained within to get you inside and around every key signature you will ever encounter. 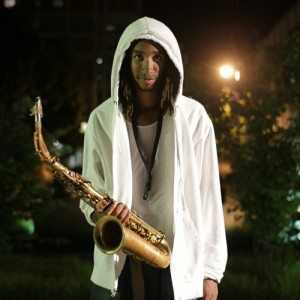 Increase your technique tenfold with encyclopedic knowledge of every major and minor key. Your fingers will be the fastest on the block and you won’t believe clean your technique will be! Become an expert in every major and minor key. Us saxophonists don’t want to be surprised by any key signature we may be presented with and you will be able to play even the hardest key signatures in your sleep by learning these exercises. A complete guide to memorizing every single exercise within so you can translate these lessons into real life situations. A must have skill for any musician. Learn the process I use for mastering my metronome and start down the road to developing a rock solid time feel. Make your evenness of technique shine when you hit the bandstand. Step by step instructions on how to make the metronome your best friend while everyone else’s is sitting on the shelf collecting dust. What you work on and how long you work for is a huge component in getting the most out of your practice time. Do you feel lost and confused when it comes to time management? Structure your practice time like a pro! This and so much more is contained in the pages of Comprehensive Saxophone Warmups. Practice Charts specifically designed to help you keep track of and record your progress through this book. See what people are saying about this book and what it can do for you! -Randy Gist, Professional Los Angeles Saxophonist with Aloe Blacc, Glee, Phillip Phillips, The Temptations, and American Idol. 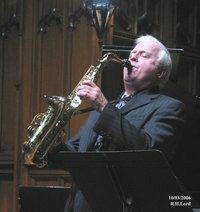 -Charlie Jennison, Professional saxophonist and educator for over forty years. Instantly Download Your Copy Today!